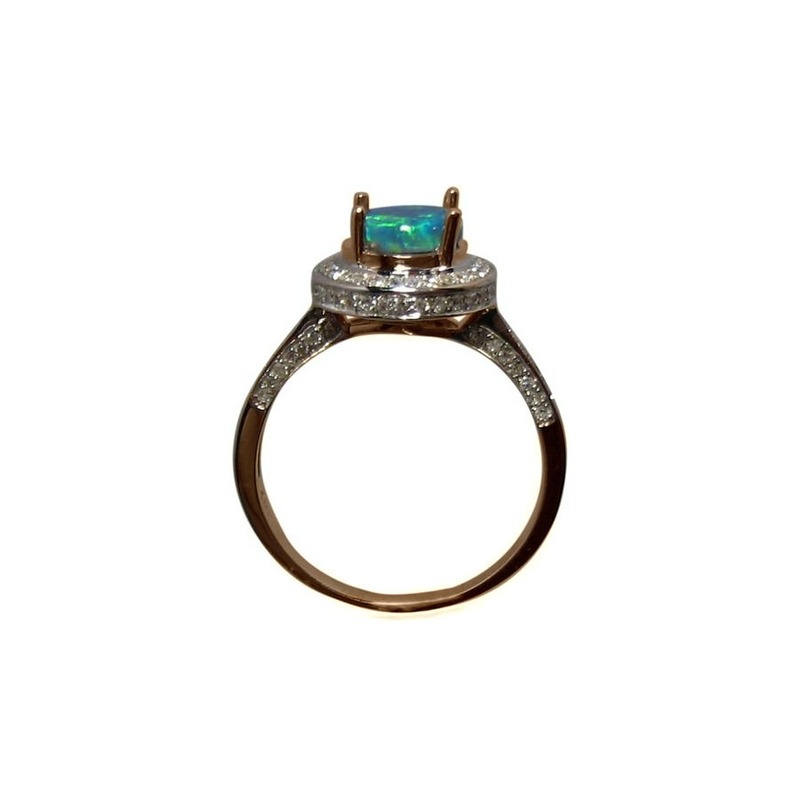 A beautiful Black Opal and Diamond ring with a round Opal accented with Diamonds on a 14k Gold band. In stock and ready to ship. 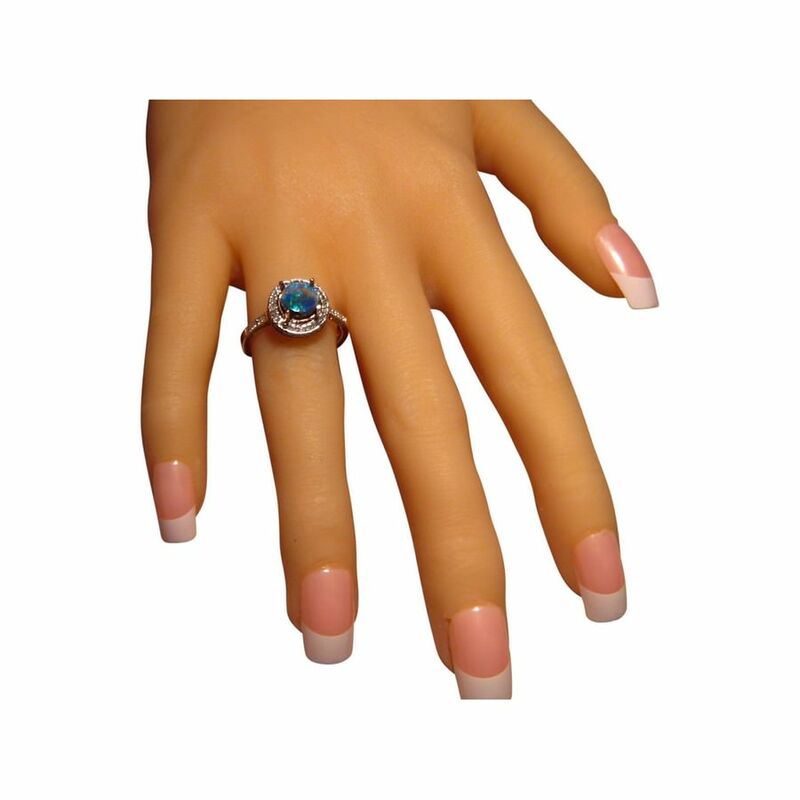 A Black Opal ring in a classic style ideal as an engagement ring or for any time wear. 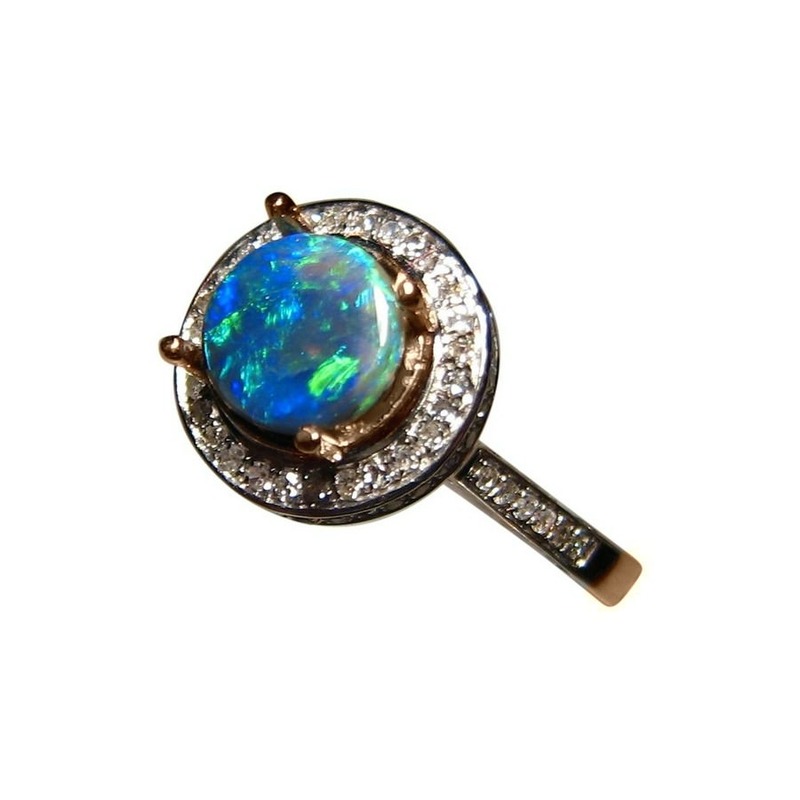 The 14k Gold ring is prong set with a round Lightning Ridge Black Opal that displays bright shades of Blue and Green in a lively play of color you will see in the video below. 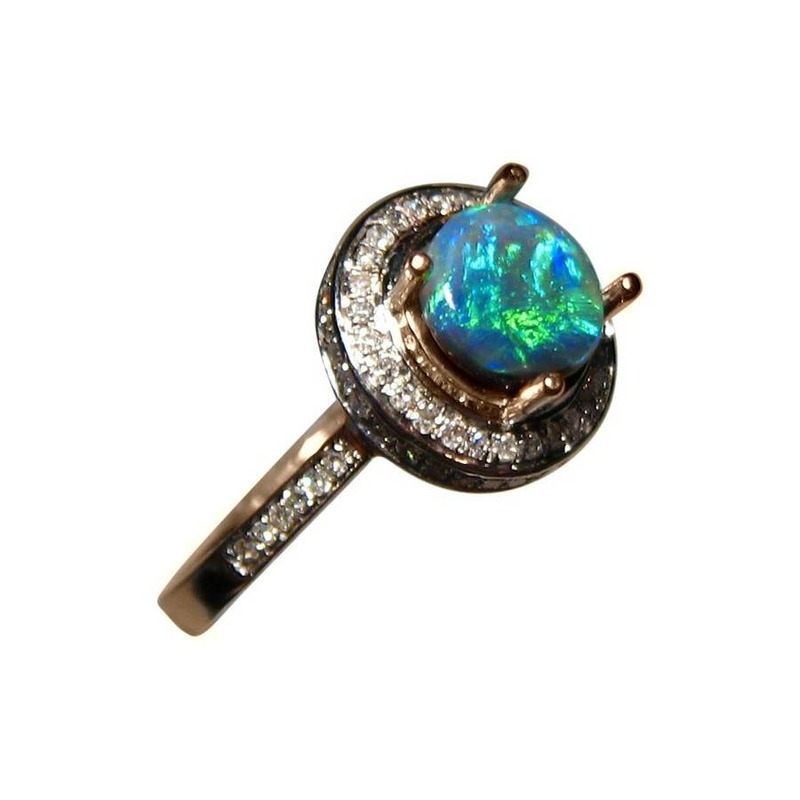 The ring is shown in 14k Rose Gold however as the Black Opal is not yet secured, it can also be made in White or Yellow Gold or the Opal can be mounted into a different setting to your taste. 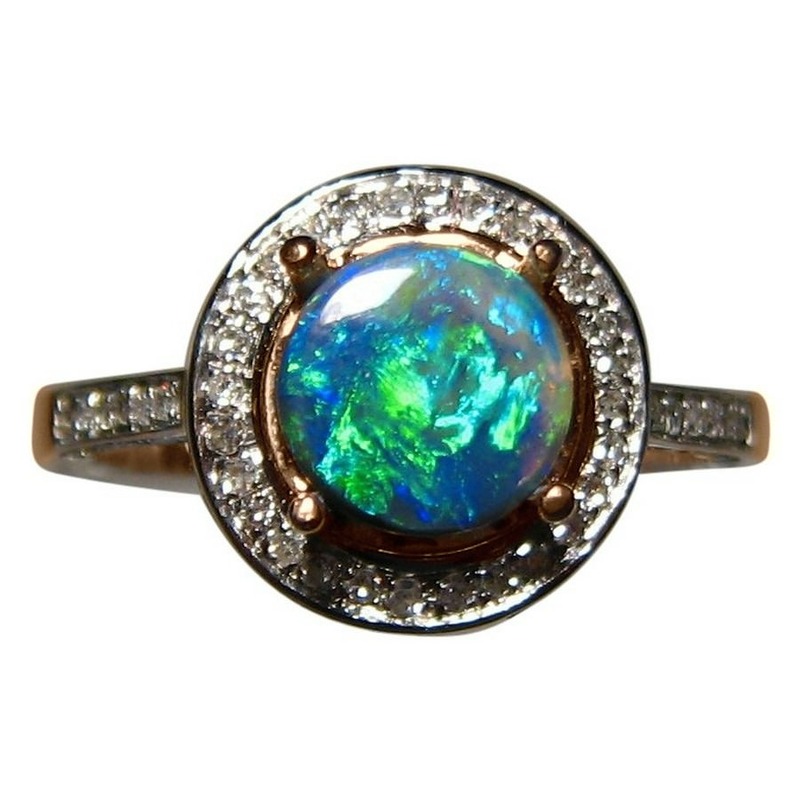 The Opal is surrounded by a halo of small quality Diamonds with more Diamonds on the band for a total of 100 Diamonds. 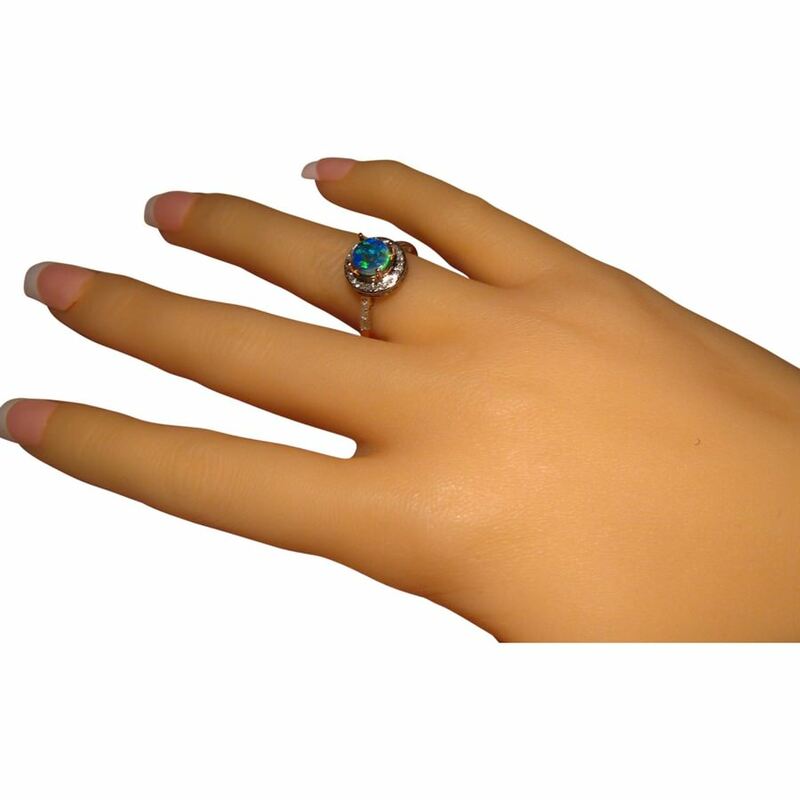 This beautiful elegant ring is ready to ship as detailed below or will take about 21 days to make in any other ring size or Gold color. Contact through this product if you would like any changes made or a new style of setting made.